One of the most important things I do as the President & Founder of Kitten Associates, Inc., is to provide a safe and healthy environment for the foster kittens in my program.With fragile immune systems, it’s important that kittens stay clean, dry and warm. Due to their inquisitive nature, they often nibble on just about everything, so it’s also imperative to keep anything potentially dangerous out of their way.At about four weeks of age, kittens begin learning to use the litter pan. I was taught to fill a low-sided pan with non-clumping clay litter with the understanding it would be safer than clumping clay litter, should a kitten nibble on the grains. There were many problems using clay and it was tough to keep the pan clean since the litter didn’t form clumps.I tried using a layer of clumping clay on the bottom of the pan and a non-clumping layer on the top. This failed miserably because the mom-cat would dig around and combine the litters together. This mixture exposed the kittens to the danger of eating the clumping litter, as well as developing what I call “concrete booties” to form on their paws.The kittens, lacking the sophistication or experience to steer clear of wet areas in the pan, would get wet litter stuck to their paws they couldn’t remove on their own. The clumping clay also formed a gluey concrete between their toes and was very difficult to wash off. It required bathing the kitten a few times and scrubbing their paws, which upset them very much. Of course, right after I bathed them, they’d always head right back into the pan and get covered all over again. 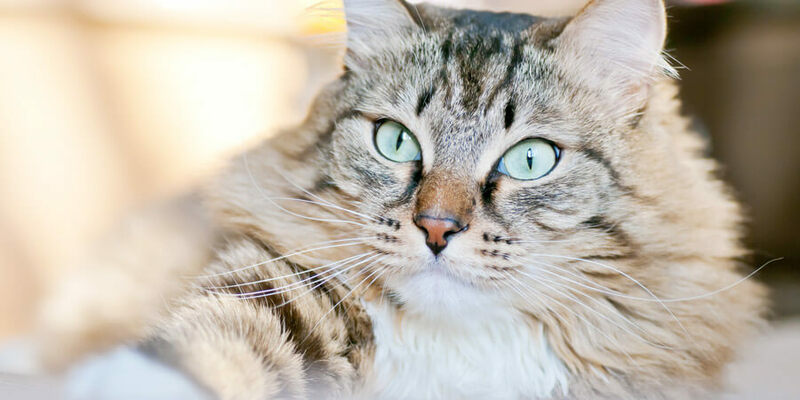 World’s Best Cat Litter™ is proud to partner with the Cat Writer’s Association, Inc. for a special series of guest-written posts on how to keep your cat happy and healthy, and make your life more hassle-free.Robin A.F. Olson is the President & Founder of Kitten Associates, Inc. the NEW Breed of Cat Rescue, based in western Connecticut. She is also the neurotic cat-loving-lady behind the Award-winning Blog about her life with cats called: Covered in Cat Hair. You can read more about Robin and her adventures running a cat rescue at www.coveredincathair.com and www.kittenassociates.org. I also hated the dust that coated everything in the room. Considering the kittens were literally an inch or two away from the litter, I worried about what they were breathing into their developing lungs. I needed a solution that was safe for them, but allowed me to keep their litter pan clean. Almost two years ago I began using World’s Best Cat Litter™. I was worried about the kittens eating the litter, but after I made sure there was a small amount of soiled litter in the pan, they understood this was not for eating. If they did take a little nibble of fresh litter… it was corn! I knew it wouldn’t cause them great harm. What I love about WBCL is it clumps well, creates very little dust, has good odor control and is safe for our kittens. They took to it right away and now I don’t have to fuss with mixing litters or bathing and upsetting the little ones. Using WBCL gave me peace of mind and was so easy to use that I could finally focus on important things—like spending time playing with the kittens and finding them their forever homes! * World’s Best Cat Litter™ does not recommend introducing kittens less than 8 weeks of age to litter. As with any litter products, if your cat or kitten shows an adverse reaction or begins to eat the litter repeatedly, please discontinue use immediately.